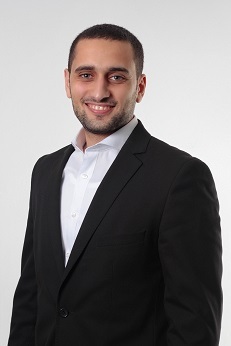 Ahmad Fasseeh (BPharm, MIBA) graduated from the University of Alexandria with a bachelor’s degree in pharmaceutical sciences and attended the Health Economics Diploma program at the Arab Academy for Science, Technology and Maritime Transport. He has been working at Syreon Research Institute since January 2014 in the health economic modelling department. He also holds a master’s degree in international business administration from École Supérieure Libre des Sciences Commerciales Appliquées (ESLSCA), with a major in global management. He is an external lecturer in the Arab Academy for Science, Technology, and Maritime Transport. Also, Ahmad is currently a PhD student at the Eötvös Loránd University.